C2C Gallery has been bringing art into the lives of people visiting and living along the Lakeshore since 2011. 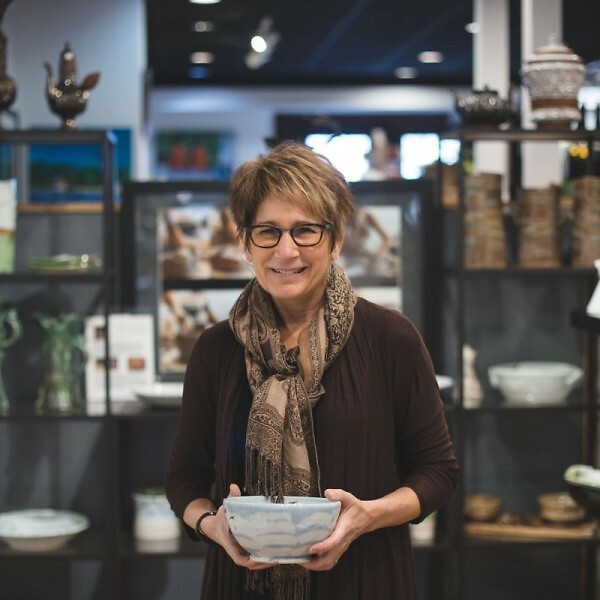 Located in the heart of historic Downtown Grand Haven, C2C Gallery Owner Cyndi Casemier has organized dozens of community art events and programs that enrich lives. This blog post is part of Local First’s Measure What Matters series, where we interview Local First Members who have taken the Quick Impact Assessment, and learn about how the assessment has helped them use their business as a force for good and be Good for Grand Rapids. C2C Gallery has been bringing art into the lives of people visiting and living along the Lakeshore since 2011. Located in the heart of historic Downtown Grand Haven, C2C Gallery Owner Cyndi Casemier has organized dozens of community art events and programs that enrich the lives of those who live in and around Grand Haven, as well as artists who sell their artwork in C2C Gallery. C2C Gallery has been a Local First member for three years and in January, the gallery was recognized as a 2017 Local Motion Award winner for their commitment to developing a vibrant and people-focused art community in Grand Haven. Every first Friday of the month, C2C Gallery participates in First Friday Art Hops where Casemier hosts a local musician in her gallery to play music and a featured artist. She also organized a class trip to Art Walk, which is an annual event that brings local fourth grade classes into downtown Grand Haven to see professional artists display their work. Casemier also created a Grand Haven High School student art show that takes place every May featuring jewelry, ceramics and 2D art. Casemier first took Local First’s Quick Impact Assessment when they were nominated for the Local Motion Awards. The online assessment pointed out many ways C2C Gallery is making a positive environmental and social impact in Grand Haven as well as areas where they could improve their score. C2C Gallery is able to measure their positive impact by recycling cardboard and artists’ materials, encouraging their employees to walk to work, supporting local artists and musicians, and hosting community events. Casemier also moved her personal studio back into her home so she could create more space in the gallery for community events. Casemier says Local First has played a key role in helping them identify their role in the community. For businesses looking to make a bigger impact in their community, Casemier recommends sitting down with Local First to map out different opportunities. “Local First is all about helping small businesses succeed. They are building stronger communities by supporting local businesses and keeping them in our communities,” said Casemier. Interested in learning how your business performs against best practices on employee, community and environmental impact? Take the Quick Impact Assessment today to learn how much good your business is doing for the local economy and community at localfirst.com/sustainability/measure-what-matters.